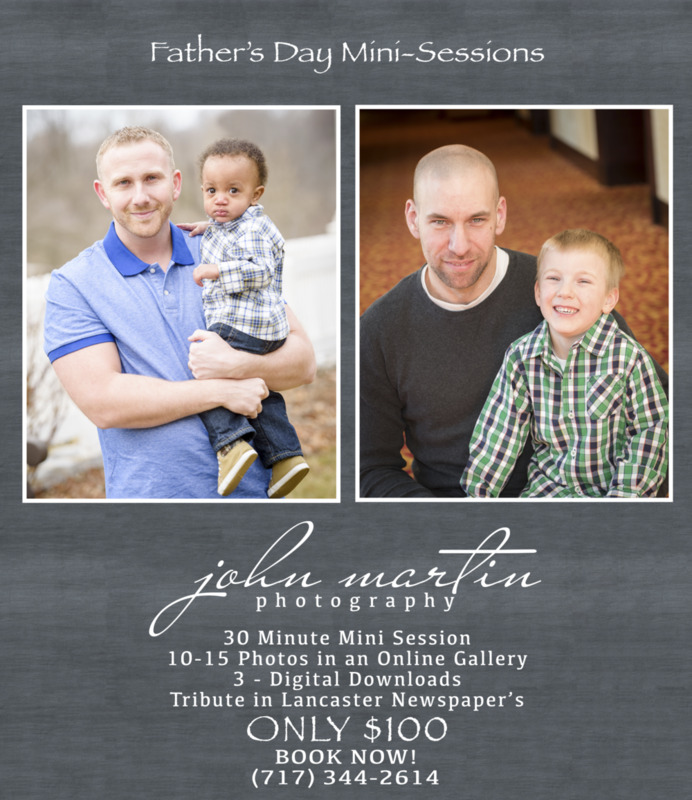 I am offering Father's Day Mini-Sessions which will include an ad in the Lancaster Newspaper's "father's Day Tribute." Call or email now to make your appointment. Session must occur before April 22, 2015. Thank you for your request. You will be contacted within one business day.